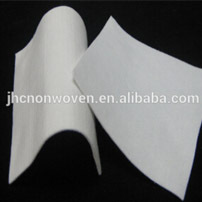 Nonwovens, also known as non-woven fabrics, are constructed of oriented or random fibers. 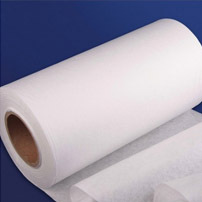 Nonwoven fabric roll is called a cloth because it has the appearance and some properties of the cloth. The non-woven fabric has no latitude and longitude lines, is very convenient for cutting and sewing, and is light and easy to shape. It is very popular among handicraft lovers. 1、The non-woven fabric has the characteristics of moisture-proof, breathable, flexible, light weight, non-combustible, easy to decompose, non-toxic and non-irritating, rich in color, low in price, and recyclable. 2、The non-woven fabric has the characteristics of short process flow, fast production rate, high output, low cost, wide application and many sources of raw materials. 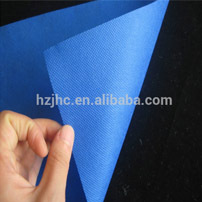 3、The non-woven fabric does not produce lint, is strong, durable, and silky soft. It is also a kind of reinforcing material, and also has a cotton feeling. Compared with cotton fabric, the non-woven bag is easy to form and cheap. 1. 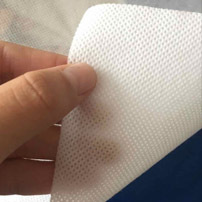 Spunlaced non-woven fabric: The spunlace process is to spray a high-pressure fine water stream onto one or more layers of the fiber web to entangle the fibers with each other, so that the fiber web can be reinforced and has a certain strength. 2. 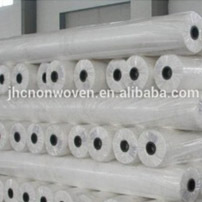 Heat-bonded non-woven fabric: Thermally-bonded non-woven fabric refers to a fibrous or powdery hot-melt adhesive reinforcing material added to the web, and the web is further fused and cooled to form a cloth. 3. 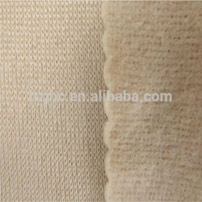 Needle-punched non-woven fabric: Needle-punched non-woven fabric is a kind of dry-laid non-woven fabric. 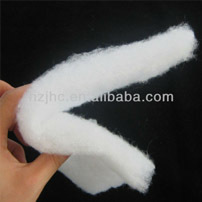 The needle-punched non-woven fabric is a puncture effect of a lancet, and the fluffy fiber web is reinforced into a cloth. Woven geotextile fabrics are created on large industrial looms that interlace horizontal and vertical threads to form a tight criss-cross or mesh. The threads might be flat or rounded depending on the type of textile being made or specific materials being used. This process gives woven geotextiles a high load capacity, which makes them good for applications like road construction. Weaving threads or films together means these geotextiles aren’t very porous, which makes them a poor fit for projects where drainage is important. The strength and hardwearing qualities of woven geotextile, give it a high tensile strength, making it suitable for use under patios, paths, parking areas and for other applications where a high strength but economical membrane is essential. 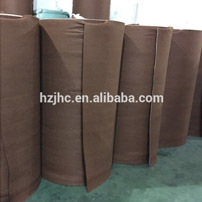 Non-woven geotextile is a felt-like fabric made by thermally bonding polypropylene or a mixture of polypropylene and polyester fibres and then finishing using needle punching, calendering and other methods. 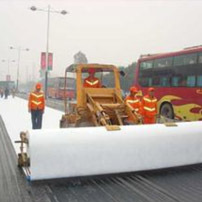 The non-woven geotextile will break down faster than their woven counterparts. They’re made of synthetics and most often used in filter or separation applications. Although non-woven geotextile has a lower tensile strength than the woven type, it still offers great strength, durability and excellent drainage properties. This makes it ideal for use beneath driveways and roads and in land and stormwater drainage systems, where long-term ground stabilisation and filtration is required. 1、Keep it clean and wash it frequently to prevent mites from breeding. 2、When storing in seasons, it must be washed, ironed and dried to be sealed in a plastic bag and placed flat in the closet. Pay attention to shading to prevent fading. It should be ventilated frequently, dedusted and dehumidified, and not exposed to the sun. Anti-mold and anti-mite tablets should be placed in the closet to prevent the cashmere products from getting wet and mildewed. 3、 the inner lining of the matching outerwear should be smooth, and the hard objects such as pens, key cases, mobile phones, etc. should be avoided in the pockets to avoid local friction and pilling. Minimize friction with hard objects (such as sofa backs, armrests, and table tops) and hooks when wearing them. It is not easy to wear for too long, and it must be stopped or replaced in about 5 days to restore the elasticity of the clothes to avoid damage to fiber fatigue. 4、if there is pilling, can not be forced to pull, you must use scissors to cut the pom-pom, so as not to be repaired due to off-line. 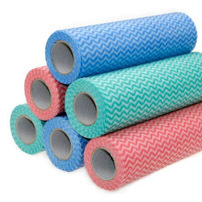 Non-woven products are rich in color, bright and beautiful, fashionable and environmentally friendly, widely used, beautiful and elegant, with various patterns and styles, light weight, environmental protection, and recyclability. They are recognized as environmentally friendly products that protect the earth's ecology. Suitable for agricultural film, shoemaking, leather, mattress, quilt, decoration, chemical, printing, automotive, building materials, furniture and other industries, and clothing lining, medical and health disposable surgical gowns, masks, caps, sheets, hotels Disposable tablecloths, beauty, sauna and even today's fashionable gift bags, boutique bags, shopping bags, advertising bags and more. Environmentally friendly products, versatile and economical. Because it looks like a pearl, it is also called a pearl canvas. (1) Non-woven fabrics for medical and sanitary use: surgical gowns, protective clothing, disinfecting wraps, masks, diapers, civilian rags, wipes, wet wipes, magic towels, wipes, beauty products, sanitary napkins, sanitary care Pads, disposable hygiene cloths, etc. 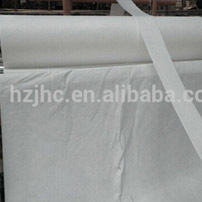 (2) Non-woven fabrics for home decoration: wall coverings, tablecloths, bed sheets, bedspreads, etc. 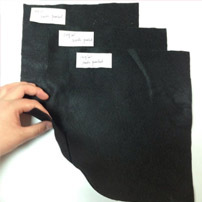 (3) Non-woven fabrics for clothing: lining, adhesive lining, flakes, styling cotton, various synthetic leather base fabrics, etc. 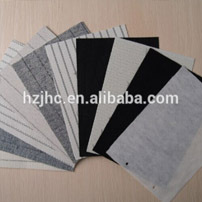 (4) Industrial non-woven fabrics; base materials for roofing waterproofing membranes and asphalt shingles, reinforcing materials, polishing materials, filter materials, insulating materials, cement packaging bags, geotextiles, coated fabrics, etc. (5) Non-woven fabrics for agriculture: crop protection cloth, nursery cloth, irrigation cloth, heat preservation curtain, etc. (6) Other non-woven fabrics: space cotton, thermal insulation material, oil absorbing felt, smoke filter, bag tea bag, shoe material, etc. Huizhou Jinhaocheng Non-woven Fabric Co., Ltd. from china.has gained a reputation of showcasing quality eco-friendly non-woven fabric at cost effective prices. Since 2005, we have acquainted with the best technology to assure an exclusive range of products. Our company has realized fully automated production, which can reach a total annual production capacity to 6,000 tons with more than tens production lines in total. With rich expertise and leading market know-how, we have established an enviable reputation of one of the leading manufacturers, exporters and suppliers of the industry. With an emphasis on personalized service and combined years of experience and expertise by our staff, we offer a wide range of products such as Non Woven Fabric Needle Punched Series, Spunlace Series, Thermal Bonded(Hot air through) Serial, Hot Rolling Serial, Quilting Serial and Lamination Series. 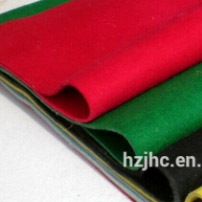 Our main products are: multifunctional color felt, printed non-woven, automotive interior fabric, landscape engineering geotextile, carpet base cloth ,electric blanket non-woven,hygiene wipes,hard cotton, furniture protection mat, mattress pad, furniture padding and others.